See you in Malaga, Spain, in 2018! Congratulations to best paper award authors! Welcome to SPIN 2017, the 24th International SPIN Symposium on Model Checking of Software! SPIN 2017 will be held in Santa Barbara, California on July 13 and 14. 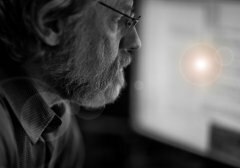 The SPIN symposium brings together researchers and practitioners interested in automated, tool-based techniques to analyze software and models of software for verification and validation purposes. The symposium specifically focuses on concurrent software, but does not exclude analysis of sequential software. Submissions are solicited on theoretical results, novel algorithms, tool development, and empirical evaluation. SPIN 2017 is collocated with two other closely related events that will take place from Monday, July 10 to Friday, July 14. Visit this link for the week’s overview. This year SPIN is organized in conjunction with the International Symposium on Software Testing and Analysis (ISSTA) as a ACM SIGSOFT event. SPIN and ISSTA are pleased to feature the Rigorous Examination of Reactive Systems (RERS) Workshop comprising the RERS Verification Challenge. See the RERS 2017 website for more information. SPIN 2017 will feature short and full papers. The list of accepted papers are available here. Registration is now open! Visit the ISSTA web site at this link to register for both SPIN and reserve your accommodations. Information about the Santa Barbara and the university is now available on ISSTA web site at this link. Accommodations can be reserved via the ISSTA registration site. On-campus choices: Affordable on-campus accommodations, both shared and private, are available to SPIN 2017 attendees at University of California’s beautiful Santa Barbara campus: reserve fast to take advantage!. Off-campus hotels: a list of nearby off-campus choices are available here. If you require a letter for obtaining a visa to attend SPIN or if you are affected by the US travel restrictions, please visit this page. This information is also available at the ISSTA web site at this link. 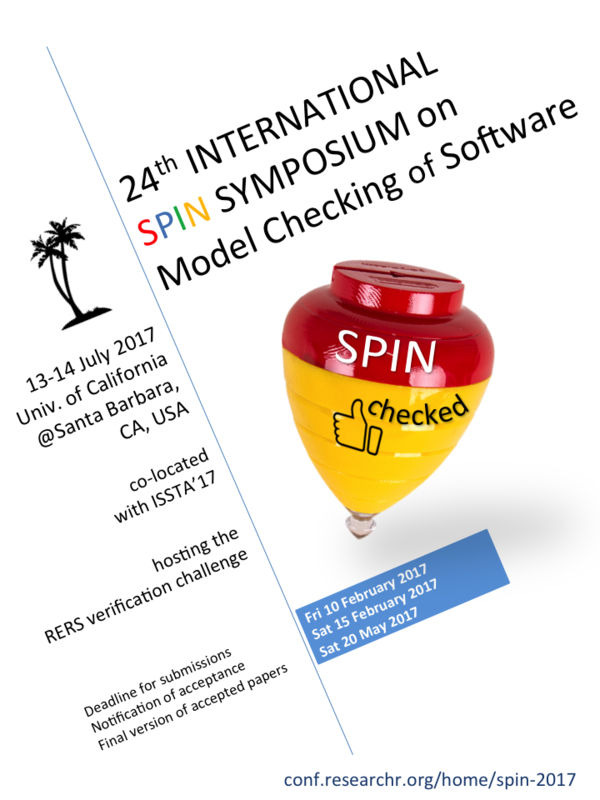 The SPIN symposium originated as a workshop focusing on explicit- state model checking, specifically as related to the Spin model checker. 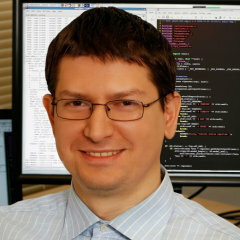 However, over the years it has evolved to a broadly scoped symposium for software analysis using any automated techniques, including model checking, automated theorem proving, and symbolic execution. 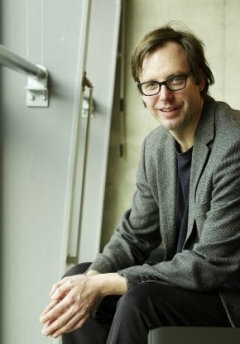 An overview of the previous SPIN symposia (and early workshops) can be found here.